The 'Late Late Show' host was speaking to Independent.ie at the RDS, where he was attending the event for the first time. Mr Cosgrave is set to appear on the Late Late tomorrow night to to discuss is the departure of the Summit from Dublin, his dealings with government and whether he expects the event will return to Dublin in the future. "They're living in a world where ambition, creativity and cajones are considered admirable and celebrated," Mr Tubridy said of Mr Cosgrave and the organisers. "They've come to Ireland - we're a nation of wing-clippers. Honestly if we see wings spanning out too much, we'll clip them, and I think they're suffering from that. "I think the media need to back off a little bit. 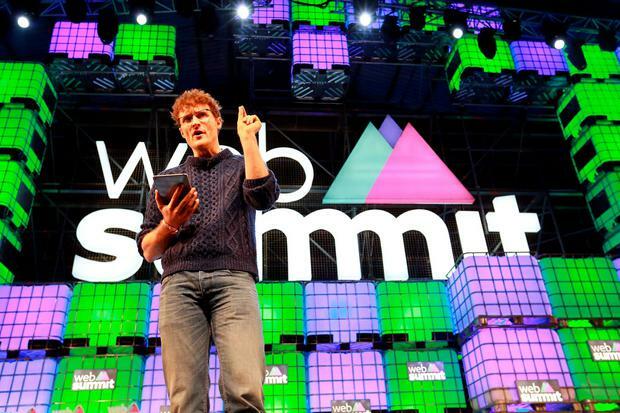 I also think the Web Summit guys might need to rein their necks in a little. And we could have peace and love and get this back here where it belongs." 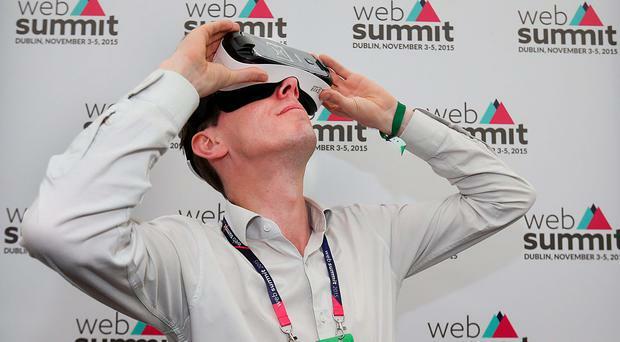 Mr Tubridy, who said his first impressions were that the event is "just like a geeked-up Young Scientist's Exhibition" said he has already told Mr Cosgrave that he feels moving the Web Summit from Dublin will be a mistake. "What I'm struck by here is the amount of foreign people," he said. "I'm not a start-up company obviously but I am interested in my country and what this event can do for that, and is doing for that. "I talking about the taxis, the boost to pubs, restaurants, the bookings in hotels - and I am just so sorry that it's going. I met Paddy in a bookshop recently and I told him that my concern would be that Pablo from Colombia or Juanita from Spain is coming to Dublin for Dublin - for the beautiful architecture, for the cosy pub, for the cheeky pint, for the craic, for the Georgian streets around Merrion Square. "So the question is, do you sacrifice the whole summit for infrastructure and miss out on what I would say is the real X-factor of the event? "But they've done the maths, they're the experts, I'm not. I do wish them well." He also urged both sides in a row that has rumbled on for months to "grow up"
"I hope they sort out all that stuff with the government - that was just a spat, spats get sorted when people grow up - and that it does come back." Mr Cosgrave was due to appear live on the RTE News on Tuesday evening but pulled out, with his co-founder Daire Hickey subsequently being grilled by Sharon Ni Bheolain about the move to Lisbon and looking decidedly uncomfortable. Mr Cosgrave also pulled out of a planned interview with independent.ie yesterday, but Mr Tubridy is confident he will appear on the Friday's tv show. "He's a talking point," he said. "He divides opinion. I admire him and his team for what they're doing and what they've done. I think all this sniping should be parked. The government should make its best offer, and his boys should accept the best possible offer, and get on with bringing it back here." Mr Tubridy - who is often portrayed as a 'young fogey' due to his love of books and history - nonetheless insisted he was thoroughly enjoying the technology on offer at the summit today. However, he confirmed he has no plans to go back on Twitter, where he was once one of Ireland's most-popular users. "And the final reason was when we finished the 'Late Late Show' and lots of people at home had finished the bottle of wine and it was a bit of a free-for-all on there after what I thought had been a good show. "So I left it, and it was very liberating, and I won't be back. I think Twitter is a very small part of the national conversation, and there's too much emphasis on it in the media, but it's a fine little toy."